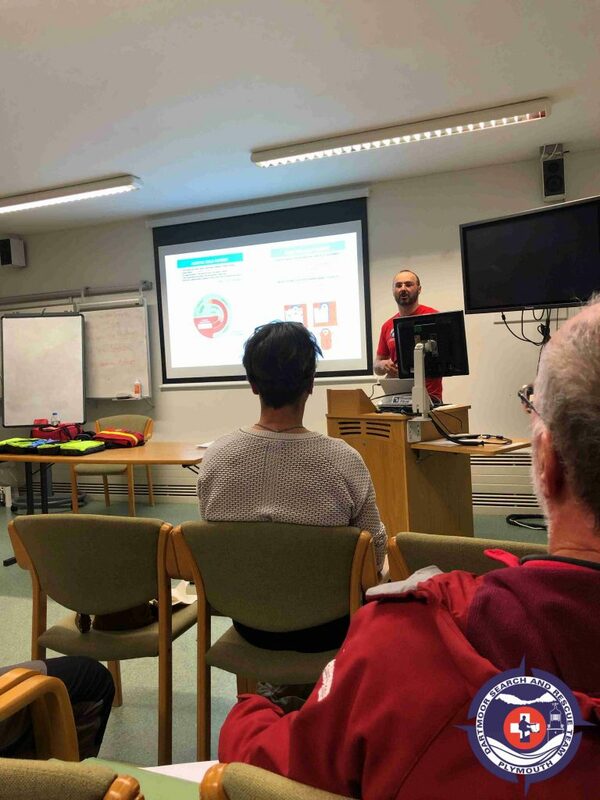 As the rest of the team is doing Ten Tors training at the rescue centre an small group of members is at Derriford Hospital to do the Casualty Care training to become an Cas Carer. 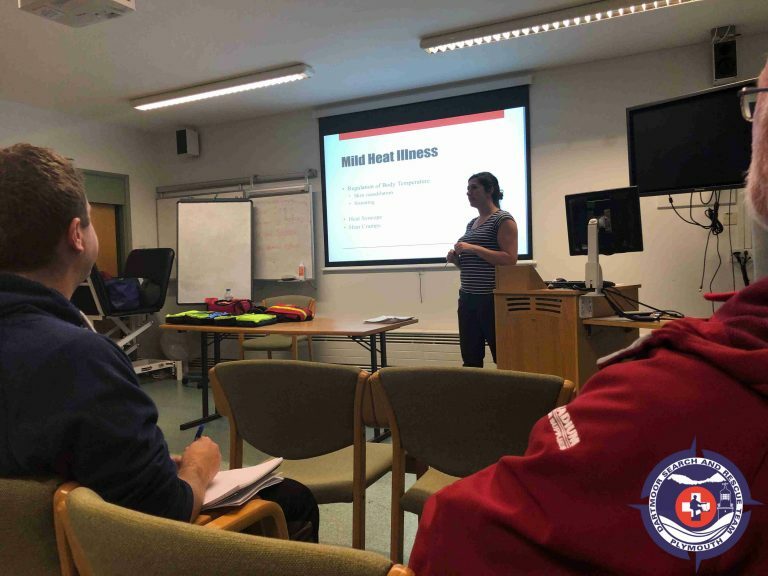 In order for the Team to meet the required standards now expected of Casualty Carers, regular training and refresher training sessions are held during the course of the year. This becomes more intense as one gets closer to the dreaded Casualty Care Exam which has progressively become more structured over recent years and is now fraught with various medical protocols candidates must have followed. A Team Member has to have passed this exam if they wish to be a recognised Casualty Carer with the authority to administer all drugs. The exam certification lasts for three years after which it has to be renewed. The exam itself is comprised of two parts, a written paper and a scenario based assessment, covering both a trauma and medical condition. Tonight they had training in Session A. HOT & COLD (Hypothermia, Heat Exhaustion and Heat Stroke) making sure that they understand the sign & symptoms and what is the treatment for each condition. Session B. Shock, Anaphylaxis and Bleeding, making sure that they understand the sign & symptoms and what is the treatment for each condition. This training we do together with our sister team from Tavistock.